This adorable 100% cotton onesie is perfect for daddy's little one! 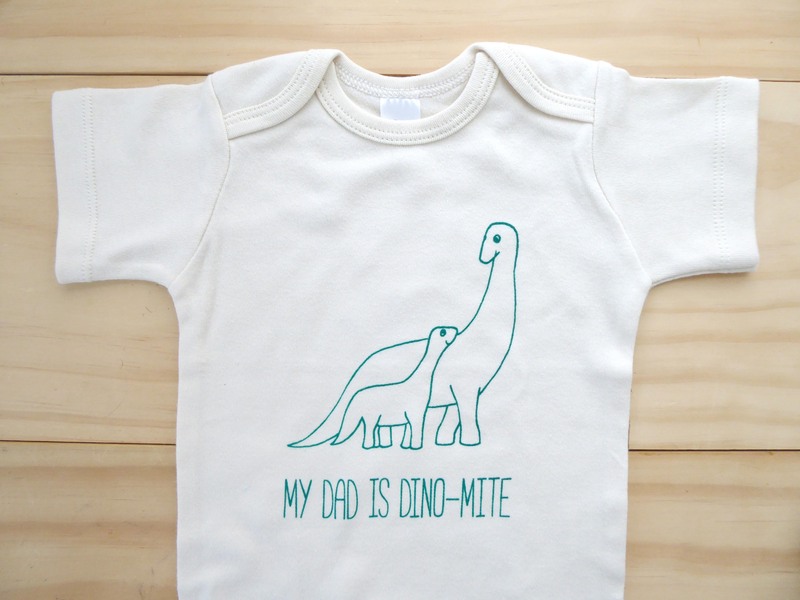 Featuring a Dino-Mite dad and baby dinosaur, it will make a charming addition to the dad-themed apparel in your baby's wardrobe. Tan color, screenprinted in green. Onesie is available in 0-3, 3-6, 6-12,12-18, and 18-24 months (all short-sleeves).